Bevat top cognacs van de beste Grande Champagne leveranciers, zeer exclusief. To commemorate the bicentenary of Napoleon's crowning as the Emperor of France on December 2nd 1804,'Le Sacre de Napoleon', we created just 2,500 bottles of Courvoisier Succession J.S. 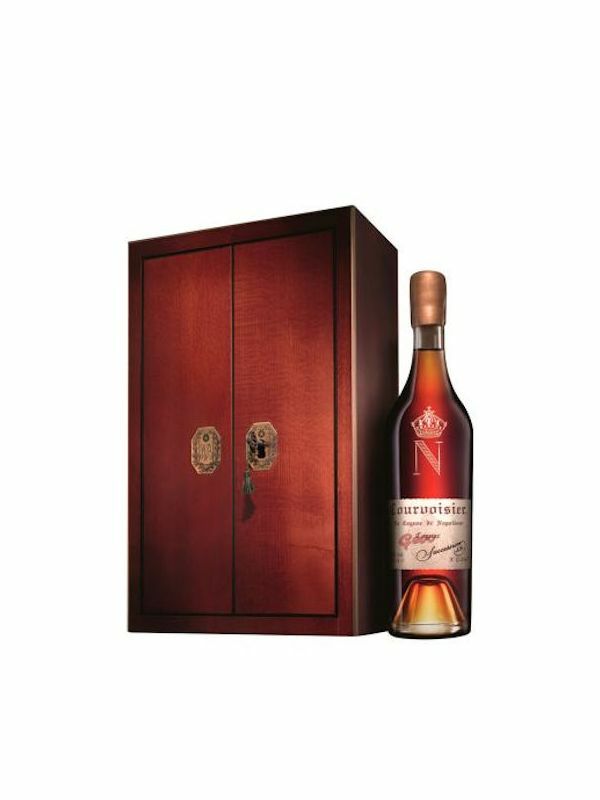 Housed in a beautifully handcrafted wooden replica of Napoleon's War Chest, a prized possession that traveled everywhere with him, it includes cognacs from the family of one of our best Grande Champagne suppliers, who have kept their best reserve hidden in their chateau's cellar for generations. The great-great granddaughter wanted to honor her family's proud French history and unique relationship with Courvoisier by passing on her precious cognacs to help create this masterpiece.